Yaw Aning considers joining Orr Fellowship to be one of the pivotal moments in his life. While he didn’t recognize the true impact of this decision as a Rose-Hulman senior studying Civil Engineering, he distinctly recalls his passion for entrepreneurship. In fact, together with a few of his college roommates, he started a company in 2006 out of his dorm room that he described as an “Ebay for textbooks.” As he neared the end of his college journey, he was unsure exactly what type of job would be the best fit for him. He only knew he was seeking an opportunity to gain the necessary skills and experience to successfully launch his own business. Through the recruitment process, he found Orr Fellowship to be a perfect culmination of his interests in entrepreneurship and technology as he would surround himself with smart, dedicated people who he know would constantly challenge and sharpen him. He never could have imagined the extensive hands-on learning and unrivaled network of motivated individuals he would encounter as an Orr Fellow. By accepting his Orr Fellowship offer to work at City Securities, Yaw explains that he ultimately took a leap of faith. His engineering background provided him little insight into the seasoned businessman. Yaw gained professional experience as an analyst helping clients work through mergers and acquisitions, performing market research, and strategizing to raise investment for growth-stage companies. Outside of work, the Fellowship granted him exposure to key business leaders of Indianapolis like Bill Godfrey (Aprimo) and Chris Baggott (ExactTarget, ClusterTruck), along with the opportunity to take an Entrepreneurship course alongside successful Orr Fellow alumni. By all accounts, Yaw’s leap of faith seems to have paid off. Within the past seven years, he co-founded his own company, Sticksnleaves. Sticksnleaves is a product innovation and consultation firm out of Fishers, IN that helps its clients launch successful web and mobile applications. 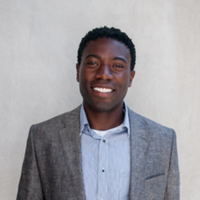 He worked with one of his early clients, CoatChex, to build a mobile coat checking app. The app was so well-received that CoatChex landed on the season 4 premiere of ABC’s hit show Shark Tank, and the company eventually landed a deal with American Express to power their VIP coat check experience at the 2013 New York Fashion Week. Although Yaw completed his stint with Orr Fellowship over eight years ago, one of the casual ways that he maintains the network he built with other Fellows has been by planning and attending what has become known as the ‘Old Man Breakfast’ every few months. He described these early morning breakfast reunions as a chance for him to catch up with the group of guys that he grew closest to in the program, even several years removed from the Fellowship. When asked about advice for current Orr Fellows, Yaw stressed the importance of, not only the Orr network, but networking in general. “Meet as many people as you can and figure out how to help them,” he said. This advice is part of what his entire Orr experience boils down to: “you don’t always know when or how people will help you, but it’s much easier to leverage your network and receive the support you need if you’ve already cultivated those relationships along the way.” Yaw might be taking some of his own advice in the near future as he hopes to add the company he co-founded, Sticksnleaves, to the host companies that support Orr Fellows.